Ashraf is a strategist who is seeking truth and equity by acquiring knowledge and wisdom through learning, teaching and developing others all the time. 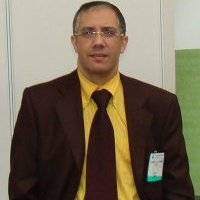 With a solid management, marketing, knowledge and IT industry background and professional experience of 20 years, where 10 years were spent in marketing/sales related experience in the IT Industry, almost 10 years as a Senior Top Manager in the field of Planning & Strategies-auditing, while acting as a Part Time consultant for number of reputed organizations in the Arab Region. Graduated from the Faculty of commerce, Cairo University, Cost Accounting major back in May 1995, finished his Diploma in Computer Science, gained MBA degree from the Arab Academy for Science & Technology in April 2002, and Doctorate in Business Administration at the Maastricht school of Management ‘MsM’, Netherlands. Senior Top Executive, with a wide range of experience in the IT industry and proven leadership skills involving managing, developing and motivating business unit managers to achieve each unit goals and the overall corporate goals, with high analytical, coaching and problem solving skills. He is able to reform/restructure workflow and influence human assets to achieve targeted goals. 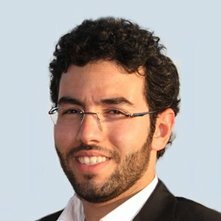 Ashraf is also a doctorate researcher who is trying to serve Egypt’s problems as well as working on the improvement of academia. Research Assistant & Instructor, providing academic supervision for MBA thesis in line with the academic principal investigator. He taught management sciences at RITI (Regional Information Technology Institute) as well as different reputed organizations, while focusing on Strategy Auditing and Management of ICT-related firms. He is also a freelancer Lecturer, teaching SMART MBA to interested students who come from diversified backgrounds. SMART MBA is a course that was mainly developed by him, in which he based it on the idea of squeezing the MBA content to almost 40% over about 120 hours during a period of 4 months. Entrepreneur & Senior Business Development Manager with 10+ years of experience in Electronic Publishing, Online Marketing and E-Learning, with significant achievements in developing business in these areas, increasing value and establishing multinational partnerships. 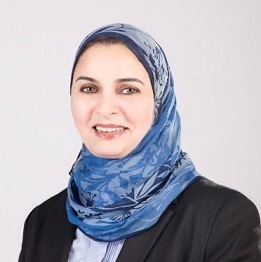 Former Managing Director of AskZad – the world’s first and largest searchable Arabic Digital Library & Academic Database. Cofounder of e-learning unit at former IslamOnline.net, the first and largest news and cultural portal in the Arab world. Amr also worked as a Regional Marketing Consultant for Anadolu Agency, an International News Agency with offices and reach around the world. He also provided Business Development Consultation to Josoor Internet Marketing, a Cairo-based company with regional and international reach. Amr is currently acting as a Managing Partner at Business Crew, a UK-based consultancy providing support and assistance for international businesses and organizations willing to penetrate the Middle East. Director HUGIN is an interdisciplinary research-driven center at Zeppelin University generating insights for academia, policy-makers and managers that are relevant, robust and clear. One of the HUGIN projects is the EU-funded FP7 project ‘LLLight’in’Europe’ in consortium with 8 universities across Europe and China. There are five other active research projects at HUGIN supervised by Ederer. Dr. Peer is also a Principal Partner at Africa Enablers which brings affordable, large-scale alternative energy solutions to emerging economies in Africa. Owner. Instruction and advisory services for rapid and sustainable business growth. Includes Scientific Director position of the European Food and Agribusiness Seminar at Wageningen University. Professional pharmacist, having 25+ years of achievements and progress with famous pharmaceutical companies, in the fields of Production, Quality control, Quality assurance, and project management. Deep understanding of commercial and regulatory compliance challenges faced by global organizations. With a deep Quality Control plant experience in a well-known pharmaceutical company, holding a Bachelor degree in pharmacy, together with MBA degree (Global Business Major), Six Sigma Green Belt (ASQ), experiences in related fields, computer skills and good command of English. For the past twenty-two years I have worked as a Production pharmacist then production Section head for around 10 years in a well-known pharmaceutical company. Strategic Planning, AAST, January 2016. Japanese Corporate Leadership, December 2014, Osaka, Japan. Revision of Annex 1 EU GMP Sterile Manufacturing, March 2009, STUTTGART, GERMANY (ECA). Pharmaceutical Engineering, May 2007, PRAGUE (ECA), plus others. Applying Kaizen and 5S tools. Applying innovative concepts as PAT and MBWA, to increase the Business growth. Project Management/ Compliance: Participating in the new projects of Steile, API and Hormones, in compliance with the European cGMP. Member of ECA (European Compliance Academy). Member of ISPE (International society for pharmaceutical engineers). Strategic Online Marketing Professional with Media roots. He started my career in marketing, online marketing & business development in 1990. This is a total of 22 years career most of them in the marketing, online marketing & Business Development in the Media, IT, Telecom/Mobile fields. A fan of all things marketing whether offline or online, he strives to stay updated to the latest trends in Marketing Strategy, Online Marketing, Business Development, B2B, Branding, Digital Media Marketing, Social media Marketing and Social Media Monitoring. You name it, you will find it here. Hossam happened to work in and with leading local and multinational companies specifically, in the field of IT, Telecom, Media and Mobile businesses, with companies like Microsoft, IBM, Compaq, HP, Sun Microsystems, Google, Yahoo, HTC, Acer, etc. He is also an author of 4 Digital Arabic books in the field of Marketing (Direct & Online), Digital Media, Marketing Assessments. 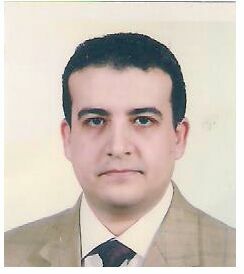 Moreover, Hossam is a Contributing Writer in several printed publications and online portals. Specialties and focus on; Marketing, Online Marketing, Marketing Strategy, SEO, Online Advertising, Media, Business Assessment, Information Technology Projects, Branding & Corporate Identity, Digital Media, Communications & Public Relations, Campaigns and Advertising. Looking for self and business development by acquiring and applying knowledge through continuous learning. Trying to help others to develop themselves and their business. His research interest is in different areas of Business “Marketing, Human Capital, Supply Chain and Strategic Management”, with special interest in Business Research Methods. Using my 20 years’ experience as a Telecom Engineer, Sales Manager and Company Owner, I am trying to combine science and practice in order to find solutions for business challenges. Developing feasibility studies for start-up companies and strategic planning for existing companies. Conducted research projects in Marketing and Strategic Management through Mass customization, and Human Development in the governmental sector. Studied MBA in Eslsca Business School “2016”. Sales Management Diploma from AUC “2010”. NLP “Neuro Linguistic Programming” practitioner training “conducted by Dr. John Grinder the Co-Founder of NLP” “2006”. Training Course at Graphotherapy “Analysing personality through hand writing” “2005”. Bsc in Telecommunication Engineering Ain Shames “1995:. Kamal is a skilled professional with 15 years of experience in IT, Telecommunication, Training, Consulting, and Teaching. His professional and personal strengths revolve around having strong Entrepreneurial spirits, Results Oriented, a Sharp planner, a Transformation leader, a visionary Business/Technical Architect, and a Lecturer. Culture, and Employee’s Intimacy and Commitment. 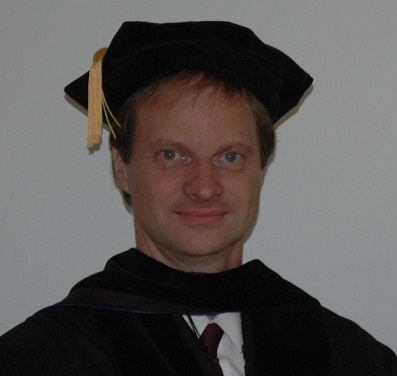 He also has strong research skills in Qualitative and Quantitative Data Analysis, Business Modeling, Market Research, and Business Case Development. 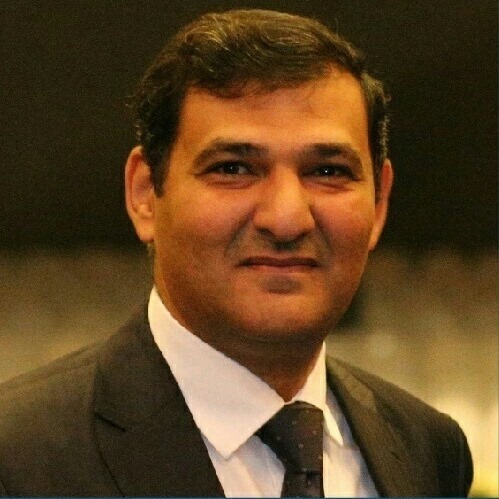 His focus is to enable Enterprises to achieve delightful Customer’s Experience, minimize TCOs while maximizing revenues, to enable Business and Technical transformation, to compete via innovative services, to get the best from partners, to sharpen the managements’ competencies, and to shape the innovation’s culture via the organization. Kamal holds a B.Sc/M.Sc in Computer Science (honors.) (AUC), M.Phil (MSM) in Business Administration and Organizational Behavior and Doctorate Business Administration (MSM) with a focus on Service Marketing and Organizational Transformation. He taught for “10” years in several reputable graduate programs teaching Computer Science, IT, Organizational Behavior, and Marketing.